My youngest son, Elijah, has been suffering from a skin condition since he was two years old. Well, I didn’t know it was called “eczema” at first. I thought it was just some usual rashes he got from outside or from products that didn’t go very well with his sensitive skin, or some allergic reaction from what he ate. He started complaining about it, scratching his legs until it was awful red. After a while, the inflamed portion became dry, scaly, and rough. And it kept coming back even up to now. Eczema is a general term for these skin conditions. It can be characterized by a defect in skin barrier function leading to loss of moisture and increased exposure to irritants and germs. It can appear anywhere on the body of most people who have inherited such tendency to develop allergic diseases or have a hyper responsive immune system, although the exact cause is still unknown. During my pregnancy to Elijah, I had allergic rhinitis. That was not easy, too. Thinking it might have some negative effects on my baby, I didn’t want to take any medicine to halt the attacks. I know you have questions and concerns at this point. I’m no doctor, but I’ll share some of the things I learned in this personal experience. How did we confirm he has eczema? After researching and observing the symptoms, I decided to consult his pediatrician and a dermatologist. His skin was evaluated and we were given the diagnosis. Sometimes, a series of allergy tests may be performed to rule out accompanying aversions to a number of triggers. Well, true enough. It turned out that it could be any of those I have suspected in the earlier stage. 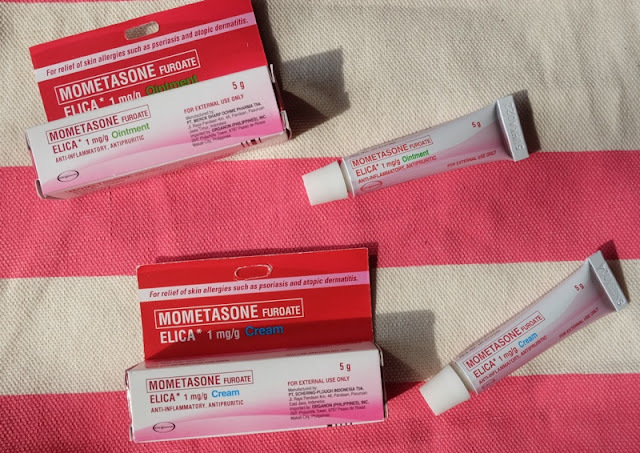 What were the problems related to eczema? Because of the constant discomfort, daytime sleepiness and poor concentration may be observed. These effects got me worried even more. Worse, kids may experience name-calling, teasing and bullying. A person who has eczema may go through a deterioration in his/her confidence level and self-worth. ELICA is the answer. 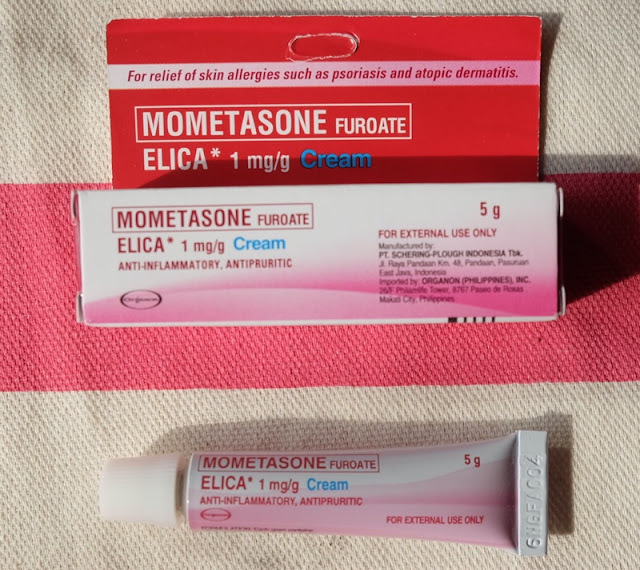 Its generic name is mometasone furoate, a corticosteroid used to treat the symptoms of eczema. First objective is to relieve the itching, which may result to swelling and inflammation. Scratching will be what most kids would do as their initial reaction to itchiness. I have seen my son really tried his best not to do it when tingling attacks. 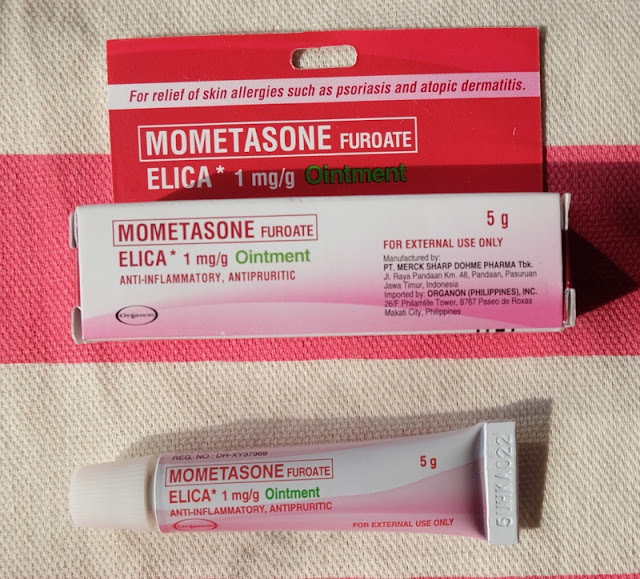 Elica is a topical corticosteroid that helps decrease the redness and itchiness and ease the swelling. When the skin already turned dry, make sure to moisturize it during the day. It is as effective as a potent steroid but as safe as a mild steroid. • I make sure that my son’s fingernails are kept short and clean. • I always remind them to avoid heat and sweating, and to get a cold instead of hot bath. • Perfumes, air fresheners and harsh detergents are a “NO”. Also, I only choose soft and natural fabrics and not synthetic materials for his things. • If at all possible, I ensure that the affected parts are covered, and I do my best to distract him whenever it starts getting itchy. ELICA is available in cream and ointment form, both can be purchased over-the-counter. • Ointment – for dry, thick lesions and areas of the body where skin is generally thicker such as the palms or soles. I have both in my medicine kit at home. 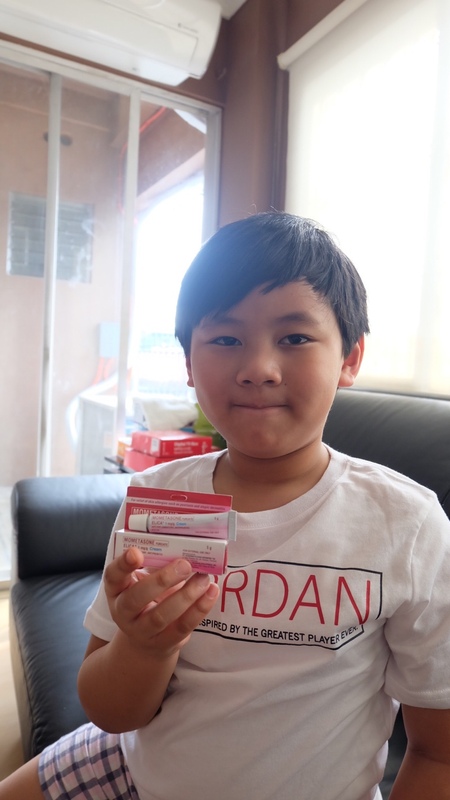 It is really effective and my Elijah’s situation improved. Although ELICA can address other skin conditions, it is still recommended to consult a dermatologist and pediatrician first. It's proven effective. My niece also suffers from skin asthma. That's really helpful po lalo na po sa mga bata po tlga, really glad na may gamot na para po diyan.. So, this is eczema. I suspect my niece has it. Kasi at an early age, imagine 2 years old pa lang sya until now that she turned 5, sobrang dry ng skin nya kahit mag-apply sya ng mag-apply ng moisturizing lotion, walang effect. As in makaliskis talaga balat nya and one thing I've noticed, parang may allergy sya and napakahina ng immune system nya. I just don't know if it is something related pero possible talaga. Thanks for the info. hi po ask ko lang if pede po ba sya sa mag 1 month old na baby?